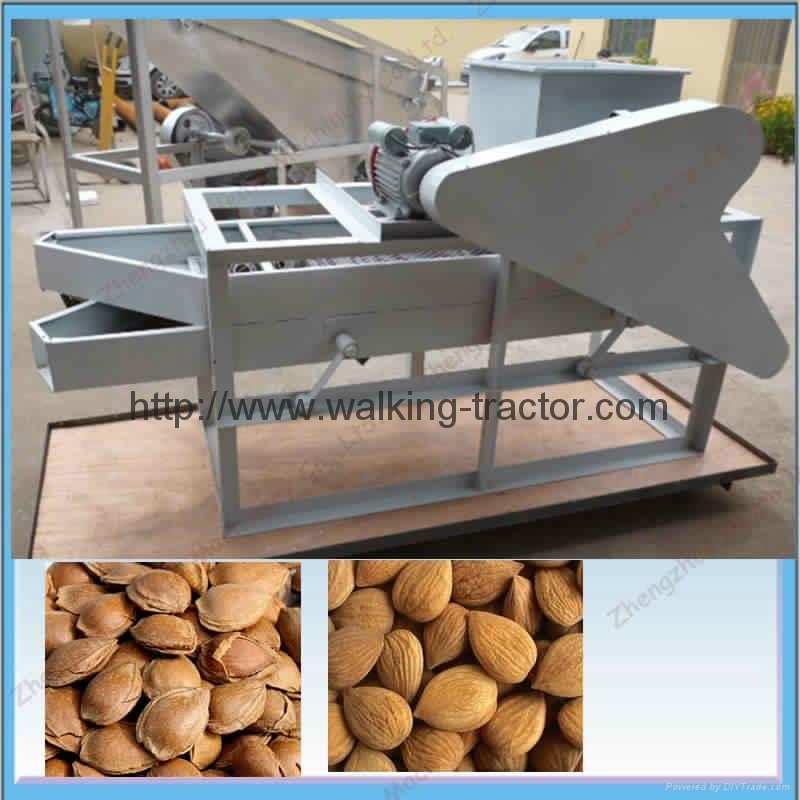 Small almond shelling machine is the almond shelling simple device, a broken shell, adjustable gap! ! Yield: 500kg / h Dimensions: 1750 * 750 * 1300 Power: 1.5kw Model: QX-02 weight:300KGS. Product Use: almond sheller broken. The machine is mainly used for stripping all kinds of nuclear hard shell. Feeding hoist, one two three broken shell, at all levels of the material of sieve and shaker simultaneously stripped three different specifications of the almond, Peach, hazelnut hard shell design reasonable broken low the best nuclear class processing equipment. Can also be a small, single-stage design shelling.